With many years experience, we are Smith and Knight Property Consultants London. We offer a first-class chartered surveying service across London. With an impressive combined experience of 65 years, RICS regulated Nigel Smith BSc FRICS ACIArb MFPWS and Mark Blooman MRICS have an invaluable knowledge and understanding of the chartered property surveying industry. Our head office in London can offer our services all across London, as well as the home counties. In addition to our London office, we also have an office in Worcestershire, covering the Midlands and the Welsh borders. At Smith and Knight, we are proud to offer a RICS Building Survey around the UK. 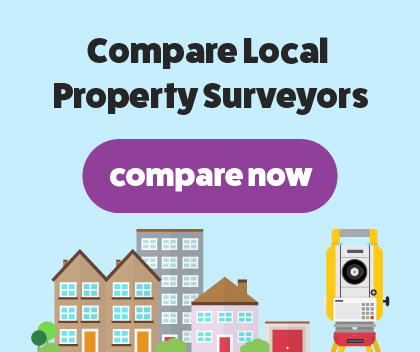 You'll have peace of mind knowing we have a varied and in-depth understanding of the chartered property surveying industry as well as a detailed knowledge of different property types. Very helpful, efficient and happy to chat through some initial queries we had regarding shared items and share of freehold. Would definitely recommend. We are proud to offer a RICS building survey at Smith and Knight Property Consultants London. Our building survey is the most popular and comprehensive survey available as provides a thorough assessment. Our expert building surveyors will offer an external and internal in-depth examination of the structure and condition of your property. At Smith and Knight, we will first conduct our building survey with a RICS chartered surveyor inspecting your property to gain a better understanding of it. Our RICS building survey will start by searching for minor and major defects that are often hidden to you. Starting at the top of the property, we will examine chimneys and roofs, and then work our way down the property. Next, a RICS chartered surveyor will search for signs of structural damage by examining the condition of external walls. All defects and damages will be photographed and presented in our final report. We present our findings in an easy to read report, talking you through it one on one. The report will be jargon-free and written in clear, plain English.